Take a walk down Manhattan’s Stone street in 1660, look inside homes, gardens taverns and meet people on the street in the video above! 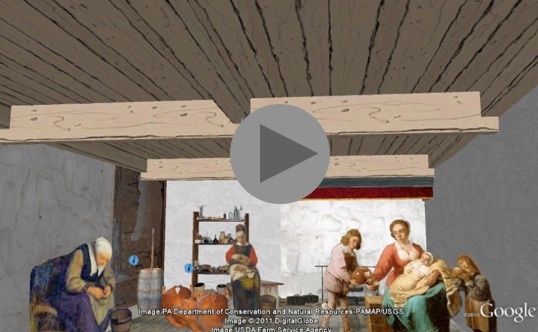 The video is a preview of NAHC’s Virtual New Amsterdam Project (VNAP), a 3D recreation of New Amsterdam in Google Earth. With your support, visitors will be able explore New Amsterdam as it looked nearly 400 years ago. The VNAP is connected to an extensive database of ship, land, and citizen records with additional multimedia content drawn from NAHC’s partner organizations. 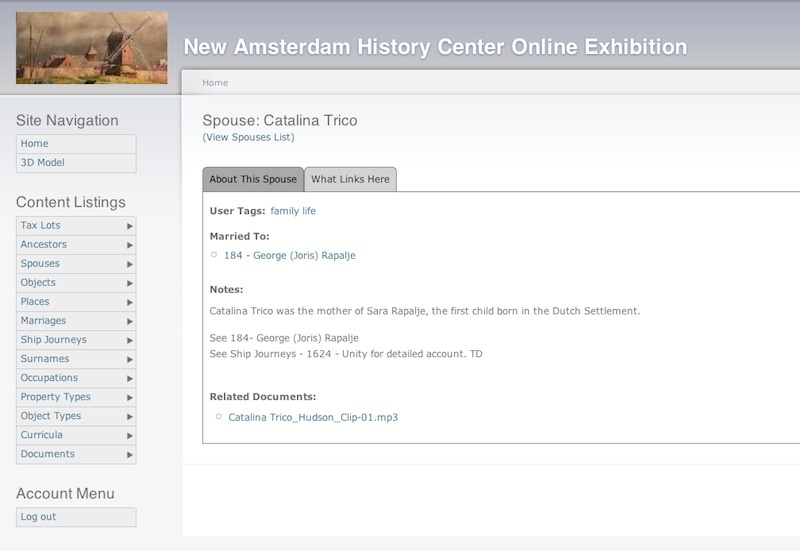 As visitors explore the virtual settlement, they will have access to information from the database which will help them understand the history and context of New Amsterdam. 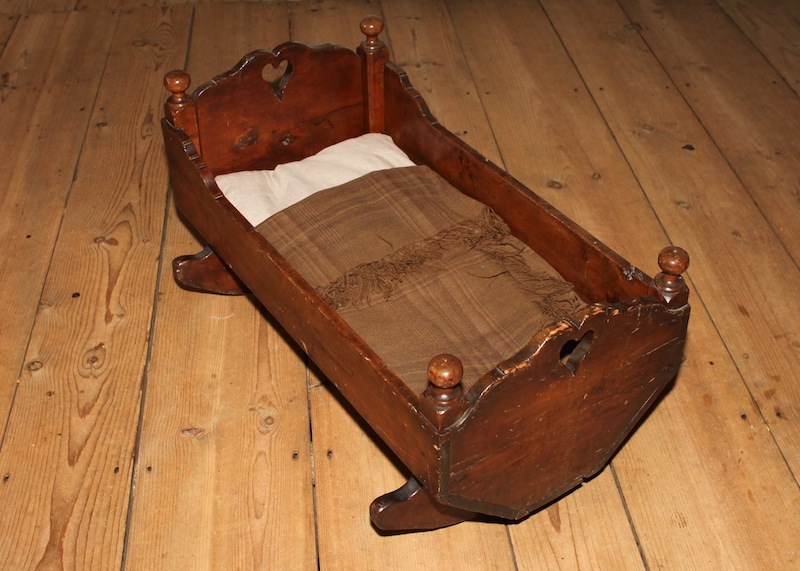 Image of a cradle from the Wyckoff Farm House and Museum. This is just one example of the many images contained within the VNAP. The VNAP also contains extensive links to audio and video materials. Here is an example of a video from PBS Channel Thirteen about the role of women in New Amsterdam. Image: farm house interior from the VNAP. As the stories of Govert Loockermans, Manuel de Gerrit and Asser Levy reveal, New Amsterdam is full of fascinating characters and stories which show the early energy and complexity of the city. This history lives on today in numerous ways, having influenced the development of New York City and the United States as a whole. NAHC is building the VNAP to bring New Amsterdam to life, so that it can be studied by scholars and students in an immersive way.